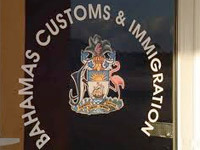 Yesterday I had a most unforgettable, horrendous and downright hellish experience at the new Customs Offices at the Arawak Cay Container Port. In a significant shift from the current manual approach, the Department of Customs has announced that all shippers and brokers will be required to submit all of their trade-related documentation online as of the beginning of June. A delegation of senior government officials from the Bahamas Maritime Authority recently traveled to Rio de Janeiro for meetings with existing and potential clients in Brazil. In order to better meet demand in the Caribbean, Crowley Maritime Corp. has added a Saturday sailing from Port Everglades to Nassau, The Bahamas. The chairman CARICOM has intensified calls to halt the shipment of hazardous waste through the Caribbean Sea, given the high risks to the livelihood of people of the region. The Bahamas Maritime Authority has approved a new plan by Royal Caribbean to use an alternate way of calculating its compliance with new air pollution rules. Atlantic Caribbean Line (ACL) is ceasing operations – effective immediately – in The Bahamas and the U.S.. 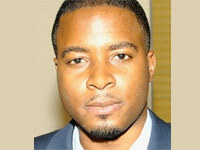 The termination means a loss of jobs for at least 12 Bahamians in Nassau and Freeport. UPS will add web-based shipping and other technology to its services in Latin America and the Caribbean, including The Bahamas. The prime minister officially opened the Arawak Port Development, calling it a “red-letter day” due to the development of a new port of Nassau and because a broader base of Bahamians can share in ownership.